always in the construction phase. For years people have used newspaper and kindling wood to start there fires, it can be a hit and miss affair for some who are unfamiliar with the process or don’t have the time or inclination to follow all the steps required. and remain efficient you need to create a good and sufficient ember base, this gives the fire the ability to combust your firewood easily. 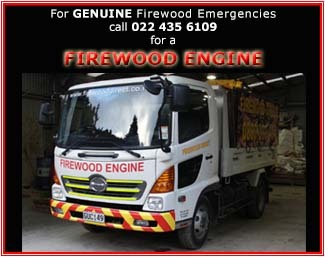 a guaranteed way for you to start your fire every time without any hassle or fuss. 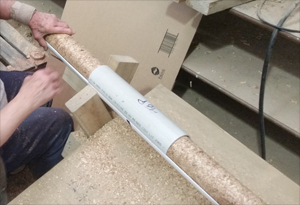 we have Compressed Logs made from dry wood shavings which are collected during the timber machining process. They are then compressed under extreme hydraulic pressure into this finished product. are used in the process and they are all made from untreated wood product, this is the reuse of a waste product making the harvested log even more efficient. just break off an end of one of the logs and sit it facing up in your fire place. Put 1 fire lighter on the top and light. Now stack half a dozen pieces around the sides and over the top. Leave them for a couple of mins then you can add your dry firewood around the edges. Your fire should be well alight within 5 minutes. Congratulations you have now set your fire up with the perfect base so you can now stoke it when necessary and sit back and enjoy. The compressed logs burn hot every time without fail, they can be used to start your fire or as firewood in their own right. containing 24 logs. They are made from a large range of untreated dry hardwood and Radiata timber. with your firewood order in bulk or picked up from our yard on Akatarawa Road Upper Hutt.